The Rails will be making the long drive to Carroll on Thursday (9/20) for what could be the biggest dual meet of the year. 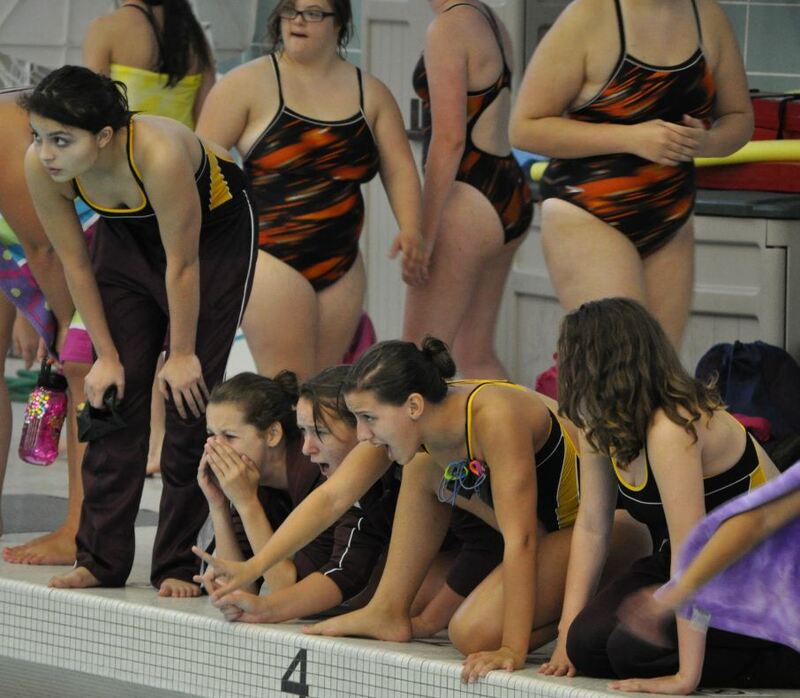 This is long-standing rivalry has the girls fired up and ready to swim tough. See more about the rivalry below and get directions to the meet. Don’t forget to wear your FAN T-SHIRTS. You can also check out the event on Facebook and share it with friends and family. The girls will be dismissed at the same times as the Ottumwa Meet. The bus will leave at 2:00 p.m. Remember, Carroll does not swim at their high school. They swim at their local rec club. You can also map it. Turn Right onto N. Grant Road. When Coach Weber took over the program in 2005, the Rails were a young team. Carroll beat Lincoln handily by almost 100 points. But a year later, we were a much stronger and faster team. We went to Carroll and had a fantastic meet. But the time Carroll huddled up after the 50 free, it was too late. With outstanding performances, the Rails won a close one – coming down to the 400 Free Relay and the .10 second touch to victory. Lincoln won a total of three straight. In 2009, the Rails large senior class was gone and we had to rebuild the program with young athletes. Carroll, meanwhile, was a strong and deep team. They won the next three years straight – 2009, 2010, and 2011. That brings us to this year! If Lincoln can get a win, it will be the first time the current seniors have ever beaten Carroll. It will be the first time in three years the Rails come home with a victory. And it could keep the winning streak going for more regular season meets!